Happy Monday to you! I hope you all had a good weekend! 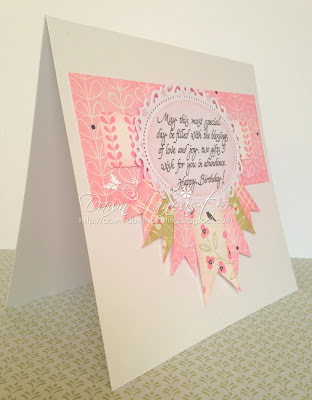 #144 "Use 3 Or More Patterned Papers"
Spun Sugar Distress Ink before removing from the die. I had a few snippets lying around. I've used 5 papers in all. mount the sentiment on some foam tape to give some dimension. 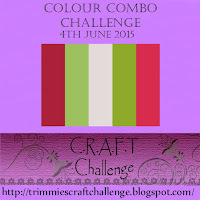 I hope you like my little card & I hope you can play along in the challenge! Great card. Love the way you have decorated tha card with papers. Lovely spellbinders frame and a great text. Thank you for participating in Sketchy Colors, good luck. Lovely card!! So pretty! Thanks so much for playing along at Just us Girls!! A lovely card Dawn, such pretty pastel papers. This is gorgeous Dawn, love the pretty papers and great sentiment too. Beautiful card and lovely sentiment! Love the mix and match tags! Very pretty colors and papers! Thanks for joining us at Just Us Girls! 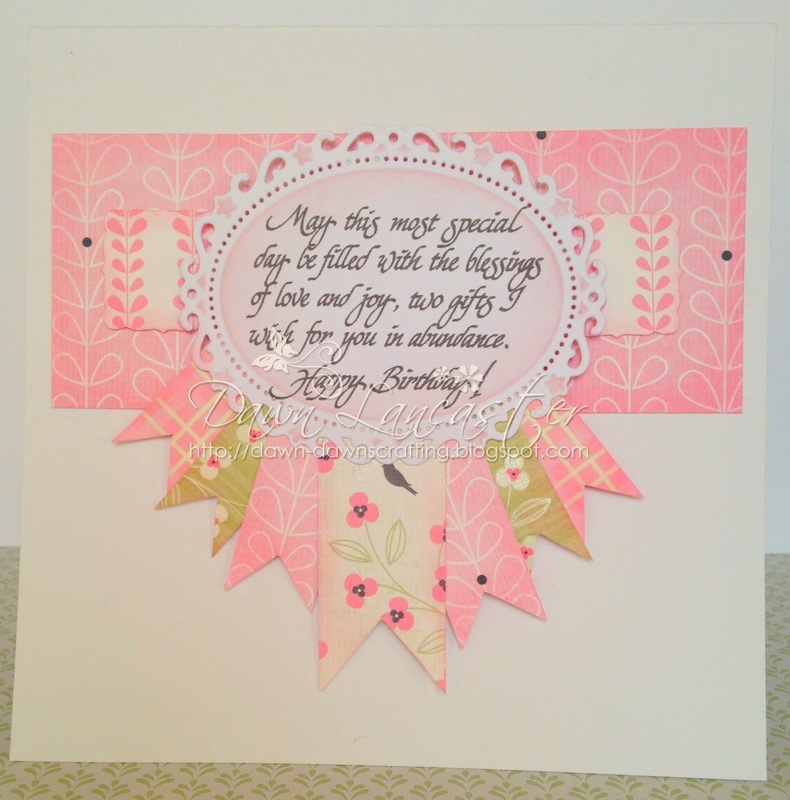 Beautiful card - fabulous design. Super card Dawn. Love all the fish tails. Oh, what marvelous paper choices for the little swallowtail pieces, Dawn! Loving the pinks and the sentiment is wonderful. Beautiful card! Love the colors and patterns! Thanks for joining us at Just Us Girls! Love your spray of banners in summer bright colors! Thanks for joining us this week at Just Us Girls! Such a pretty card--great colors chosen! Thanks for joining us over on the HIMCR blog.